This new lens was designed for the latest generation of larger format image sensors. It delivers great image quality for demanding projects. 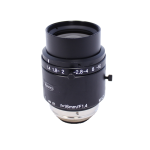 We recommend this lens for cameras having pixels of about 4 microns or larger. Or any time you need better resolution or improved contrast. It delivers 160 lp/mm resolution at center and 125 lp/mm in the corners. Kowa’s wide-band multi-coating reduces glare and refraction. Expect high performance even with the iris fully open. This lens has an image circle of 11 mm. Pair it with cameras having a 11 mm (2/3 format) sensor or smaller. 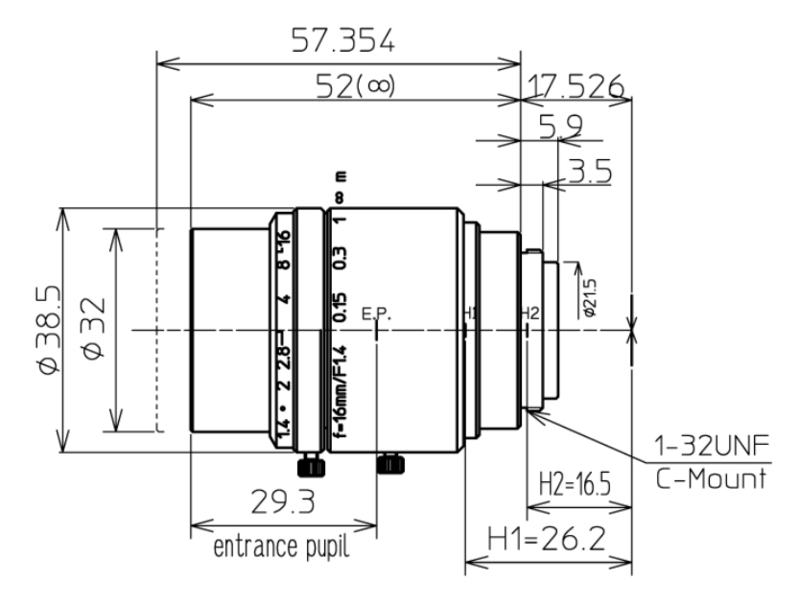 This lens's compact metal housing moves the aspherical elements independently, virtually eliminating optical aberrations across all working distances. The focus and aperture adjustments lock-down with thumb-screws to resist equipment vibration.